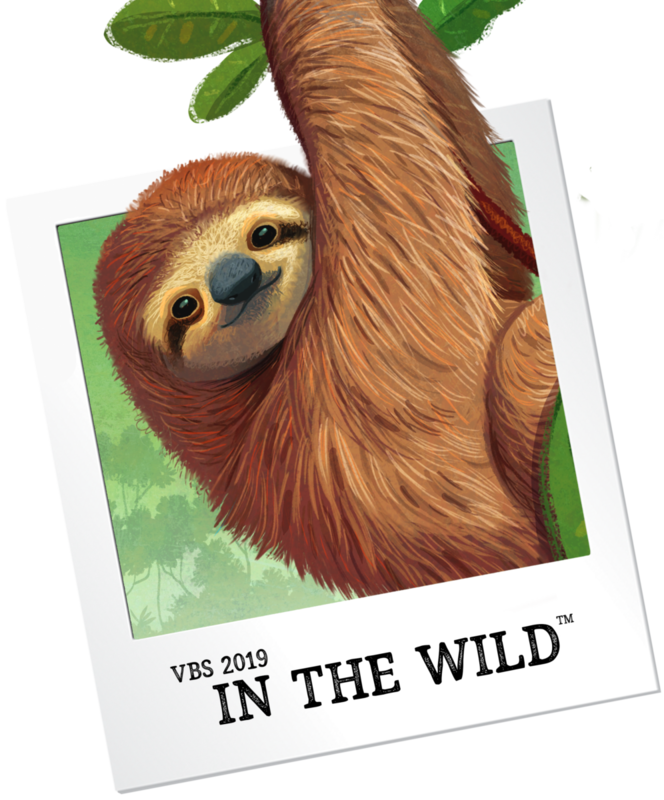 Registration is now open for VBS 2019 Previews! For the best price register before November 1 and bring a group of 3 or more! What is the Bible stories for preschoolers? The Bible stories are the same for preschoolers and children. I am a craft teacher and was wondering if there is a way to k ow ehat the crafts are for In The Wild so that I can get church members to start collecting tendings if needed. You’ll be able to see them December 15th … that’s when all of the curriculum pieces will be released. Last year, I tried to get it at that time, and it was not out yet. Is there a way to ensure that we get the craft book then? I did not get the craft book or our curriculum until the first of January. Dec. 15 is when stock is available in the warehouse and orders may begin processing. With the holidays it may take a bit of time to get to you. Sorry you had to wait! Wondering when the craft book would be out. I would like to see if I could get hold of the crafts for 2019. It would be wonderful to start working on it now and get the church members to collect things that we may need. Thank you. Love the theme this next year. Will the theme song contain the theme verse again like this year for Game On!? That was such a wonderful addition and our graded kids especially liked it in helping memorize the verse. Thanks for all the work creating amazing VBS!! Where can you register for the Houston Tx event? You can register here: https://www.lifeway.com/en/events/vbs-preview Simply click the button for the Houston event. “En la Naturaleza” estará disponible en español el 15 de diciembre. What are the dates for conferences? Especially Ft. Worth. Will the theme song contain the theme verse again like this year? Our kids really liked that and it helped so much with verse memorization! We loved it too! The 2019 theme song does not include the theme verse. The Day 5 song includes portions of it though! Would it be possible to go ahead and get the mucic for In The Wild for 2019? Everything will be available by Dec. 1st! Soon there will be previews of all of the In the Wild songs on lifeway.com/vbs. Loving 2019 themes. What is the Spanish name for “In the Wild”? Kudos for the Spanish T-shirts in 2018! What colors are the tshirts? The main t-shirt is a dark teal. The leader t-shirt will be a pocket tee in gray with the Bible verse on the back. Another t-shirt is a heather green and one is an oatmeal color. 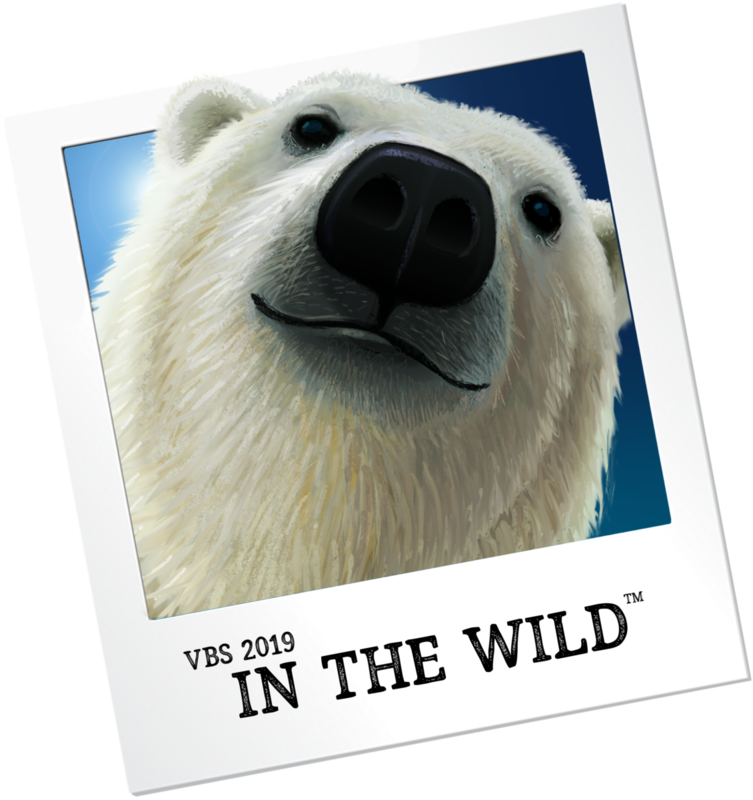 One request for VBS 2019: Please keep the music and motions for music simple so participants may focus on the excitement of singing instead of getting the motions right. Motions need to be simple enough for 3 year olds and the uncoordinated among us with no dance or cheer background. Children unable to successfully do the motions lose interest or feel embarrassed and stop. Adopt KISS and Keep It Super Simple! Thanks for the feedback, Melanie! We have simplified the motions for VBS 2019 and made them more repetitive. I hope you’ll be pleased with the changes! Also, keep in mind that the choreography is primarily designed for children who have completed 1st grade and up. We have additional music designed for 3 year olds through completed kindergarten with VERY simple motions. You might find that the little ones have more success with those music/motions! We use the same music with all ages. I get with my choreography team (three of my youth girls) and we discuss what movements are easy for all ages to do. These young ladies do watch the video supplied, but then they alter the movements to work with all age children. Is there any artwork available yet to clarify the rotation environments? I will be at “the watering hole,” and I was wondering if that is a waterfall type thing or a big puddle on the savannah. It would be so helpful to have a little more clarification so we can start planning for next year. Thanks! You’ll be seeing more and more art in the coming days. Stay tuned! The watering hole is intended to be something more along the lines of what you’d see in the African savanna. A cool, refreshing spot where all of the animals gather together to drink life-giving water. I’d recommend you check out Backyard Kids Club. It’s perfect for small churches! 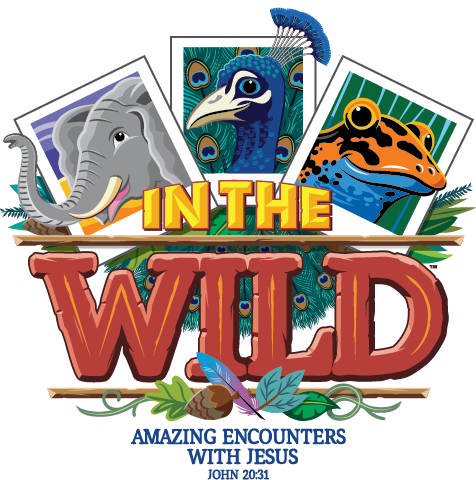 It follows the same theme as the full-blown VBS each year, but you can also get the past 3 years of themes in addition to the current one … so that gives you lots of choices to be different from other churches in your area. There are still 5 days worth of lessons, but you can easily just do 3 days during VBS and save the other 2 for some other time. Is there an option to attend without staying overnight? We are local . To attend a VBS Preview event? Which one specifically? I’m planning to attend the Fort Worth, TX training and it’ll be my first time. Since I’ll be flying from San Diego, CA, what are the scheduled hours for these trainings? Please let me know so I could plan accordingly with plane tickets whether I should arrive the night before or day off plus could I go back to SD after the training. We have not yet finalized the schedule, but we typically begin registration around 11am and begin the opening session around 1pm on the first day. We typically wrap up around noon on the second day. Hope that’s enough to help you finalize travel plans! Thank you! Yes, that should help me finalize my plane tickets soon. Hope to meet you in person. Is there a way to have Bibles with larger print? Many kids have to focus so intently to read words and stay on the correct line that they fail to comprehend the meaning. Since the lessons for 2019 are from the New Testament, is it possible to have a large print New Testament? I love the theme. I only ask that you keep the moves simple. We start at age 3 and go through age 103. Our teenagers even had a really hard time with this dance and out of over 175 in attendance we only got about 25-30 to be excited about the dance because it was so complicated. More repetition is good. Thanks for all you do. Thanks for the feedback! We have made a concerted effort to simplify the choreography for 2019. I hope you will be pleased! I’m so glad that you will simplify the moves next year. We spent a good portion of our precious time working on the complex moves this year. Also, keep in mind that some of us have a less space and can’t do a lot of maneuvers in the pews during worship rally especially. Can you make a separate Bible study for churches that do VBS in the evenings? We have less time for a lot of the extra stuff and a lower cost basic teaching package would be nice. We end up having a lot of stuff we never use, especially with VBX because the 5-6 graders are “too cool” for a lot of the extra stuff. Thank you so much for the Gospel focus of the whole program. Our church has two sites–so this is the second ‘GAME ON’ VBS. Enthusiastic reviews from volunteers, parents and kids! Music has clear Gospel message and easy for kids to learn quickly. Video was delightful. Looking forward to next year’s theme! Love it! Will there be a session for use on the Kid Event Pro registration site? No, but drop by the Creative Zone once you’re there and our VBS team can help you with any KidEvent Pro questions! Looking for decorating ideas for our registration and check in area?? Its the first area our guest will see and want to set the mood. Does Lifeway not have VBS Bible Study materials available for Jr. High age? We do! Our VBX curriculum is designed for kids who’ve completed grades 5 and 6 and our Student VBS curriculum is for 7th-12th graders. So we’ve got you covered no matter what ages your church and school system include in Jr. High. I can find the student guide but I can’t find the leader material. What is the leader guide called? Where can we find breakout session info for the Houston preview next week? Is the VBS books and songs in Spanish??? Yes! Everything is available in Spanish as well as English. Are the songs on online anywhere so I can start learning the motions to teach the kiddos. Where can I view teen VBS curriculum? 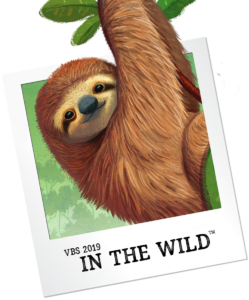 Where can we find the animal polaroid pics/posters that were used for decorations at the VBS preview events? On the Decorating Made Easy DVD-ROM! for the musicians out there… in the STEMS package there is a 7th song named “Nobody but Jesus”, but in the charts, music sheets, rally and any music pack is not included… is that track like a sneak-peek for next year’s? Or the printed music is missing a song? Or should I go ahead and made my own charts and notes? Thanks for the effort towards music, is always on point arrangements and lyrics! Hey Alex! “Nobody But Jesus” is one of the preschool songs for In the Wild. We featured it onstage at our VBS Previews and had stem mixes made so that our band could perform it live. 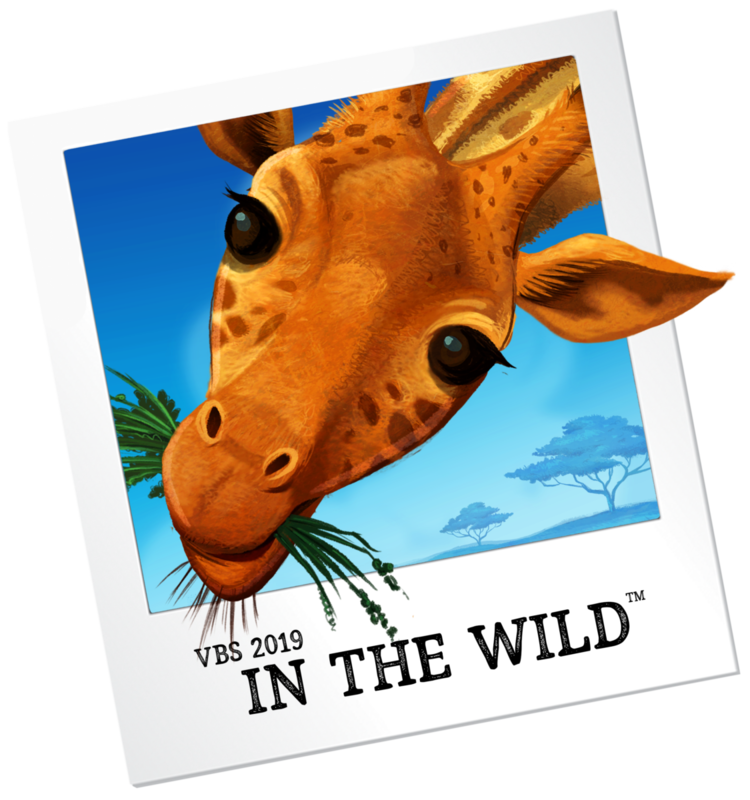 So as a bonus, it is available to you along with the Grades 1-6 songs for VBS 2019. Enjoy! You can find lyrics and sheet music for this and other preschool music rotation songs in the Preschool Music Rotation folder included in the 3s–Kindergarten Rotation Pack. You can find those images on the Decorating Made Easy DVD-ROM! Is the VBS Musical drama available in Spanish? That’s great, but not everyone gets that book. It would be nice to have clip art available if it is not included in each age group package. Will you be releasing a clip of the daily video so that we can see what it’s like? The “VBS 2019 Worship Rally Drama Trailer” is on our website at https://vbs.lifeway.com/downloads/. Simply click on “videos” and it’s the second one. You can also find it on YouTube and Vimeo. Thank you, exactly what we were looking for. Tracing files for the “Bullfrog Bog” trees are in the Set Design Art folder on the Decorating Made Easy DVD-ROM. We get our 2-inch foam panels from Lowe’s or Home Depot. Can we get a superhero theme in the next couple of years? Like….capes, flying, super strength, super speed, how Jesus is the ultimate super hero! Surprised this hasn’t been a theme at some point in the last 10 years with all the hype over super hero movies!